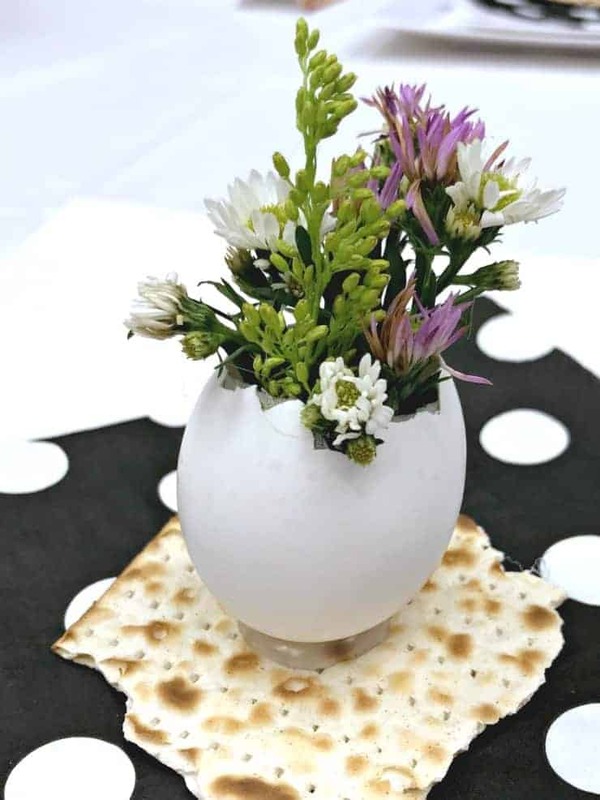 This Eggshell Bud Vase is perfect for your Easter or Passover table decor. 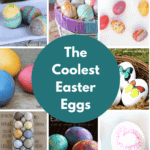 They are easy to make and cost virtually nothing. Your guests will be delighted when they see this clever table decoration that you made all by yourself. Spring is coming, and with that there are some wonderful spring holidays that go along with it. No matter what you celebrate, setting the perfect celebration table, gets your holiday meal off to the right start and this Eggshell Bud Vase is the perfect DIY project. I love mixing up the flowers and using an assortment of different colors. It just screams spring! My friends, Melanie and Binay made these gorgeous egg shell vases for an event where we shared ideas for our Passover tables. Looking for some other great ideas for Passover? 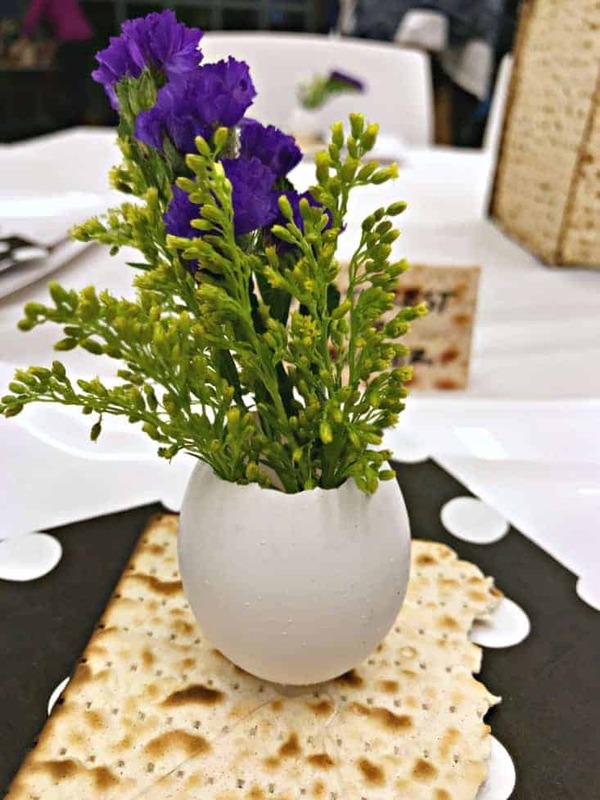 I created an article on Passover Recipes and Ideas where there are some other creative tablescapes, crafts and more ideas to shake up your Passover sedar this year! These eggshell bud bases could easily be changed up for an Easter table too! OR really, for any type of tablescape! I love mixing up the flowers and using an assortment of different colors. It just screams spring! Do you have little one’s at home? If you are looking for a cute Easter project for them, be sure to see this adorable Easter Bunny Handprint Craft that my contributor, Aimee, recently posted! Such a fun craft to do with the kids! Step One: Use a needle or a sharp knife to carefully prick a hold in the top of the egg (careful not to break the egg). 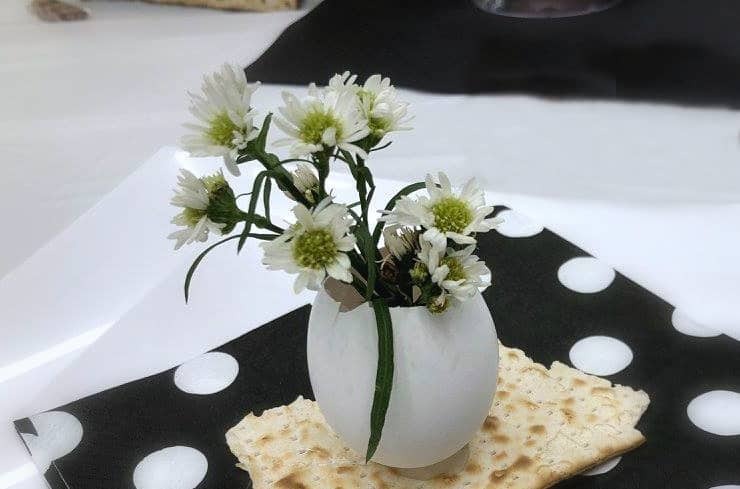 I love your egg vase, and the cracker underneath it, is so cute. 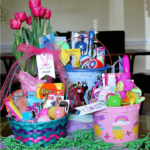 Hope you had a Happy Easter. Will the egg shell hold the water for a long period of time so I can prepare them with flowers the night before Easter?